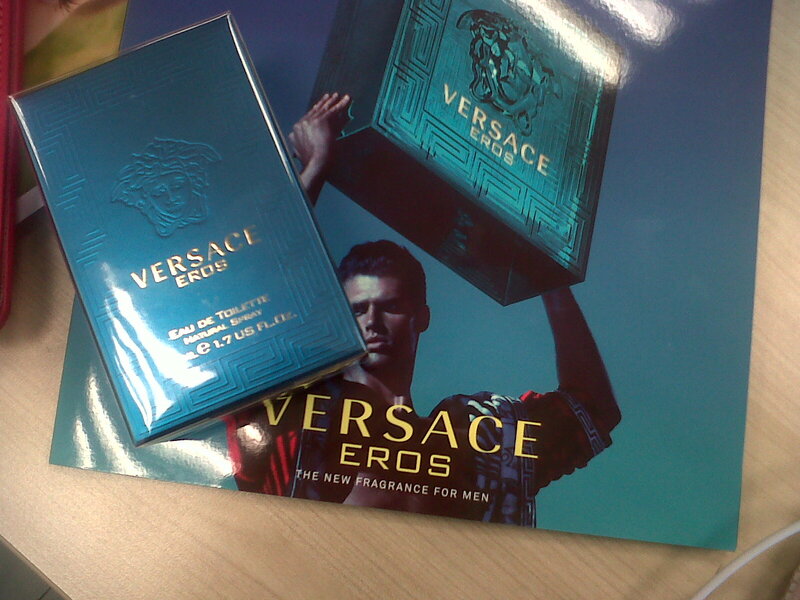 I am sure, a woman’s opinion of a man’s perfume would be odd, but I could not resist commenting on this amazing new fragrance by Versace called Eros. I must warn way ahead, this is not available in retail in the UAE yet, however it is available for sales on UK/US . Let’s start by clarifying, I wasn’t the one who wore the perfume, it is tried and tested by a man. I couldn’t help but revel in the scent. The notes for Eros are very subtle but distinctively masculine. The freshness of mint leaves, Italian lemon zest and green apple stands out as the top note. The perfume fades in the mid notes of Oriental, Tonka Beans, Amber, Geranium Flower and Cedarwood. However, the irresistible base note of Vetyver and Oak Moss, and sweet vanilla were my favorite. Inspired from the greek culture and mythology, the packaging represents their Mediterranean sea and lifestyle. To top it all off, there is a brilliant Medusa emboss on the bottle, which in one word is artistically divine. If this costed a fortune, I’d still buy it!! This is a message to the admin. Your website is missing out on at least 300 visitors per day. I have found a company which offers to dramatically increase your traffic to your site: http://voxseo.com/traffic/ They offer 1,000 free visitors during their free trial period and I managed to get over 30,000 visitors per month using their services, you could also get lot more targeted visitors than you have now. Hope this helps 🙂 Take care. articles, except this web site offers quality based content. Thank you, I have recently been searching for info about this topic for ages and yours is the best I’ve came upon so far. However, what about the bottom line? Are you certain in regards to the source? morning, otherwise it will probably be for the next working day.